It was the most surreal feeling. 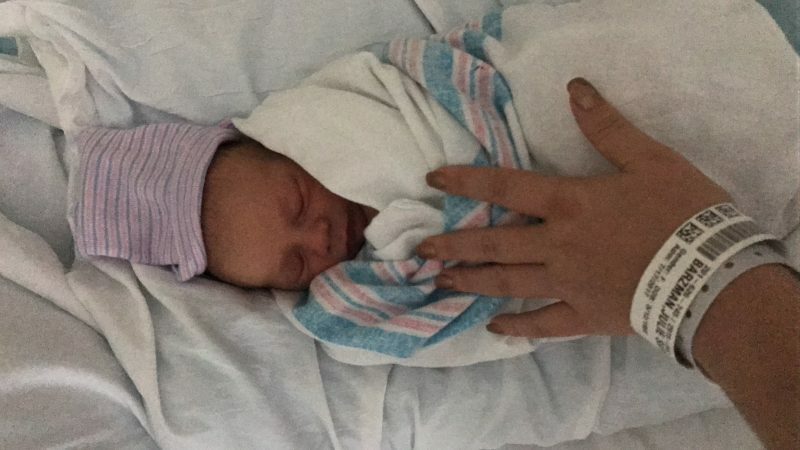 Kyle and I and our doula Lacey left for the hospital and we came back home with another little tiny human being. He was real. I could finally see his little face, toes and fingers. Oliver Kingsley 7/17/17 6lbs6oz 2:45pm. I remember unswaddling him for the first time ever with Kyle, Oliver just put his little arms up instantly and our hearts just exploded into little pieces. That vision and memory will stay engraved in my mind and heart forever. I dressed him for the first time in his little white onesie that I had debated for a while during my nesting hours if it was going to be his FIRST outfit ever. You wait for such a long time, imagine and picture a little nugget that will be part of your life forever that when that moment comes, it’s completely magical and completely out of this world. Your body is a temple. Your body is absolutely fascinating. I’m in awe with what I’ve been capable to do that I never thought I’d have the strength or courage to do. we set him in the car seat and we we were on our way. I was so nervous in the car and yet so excited. 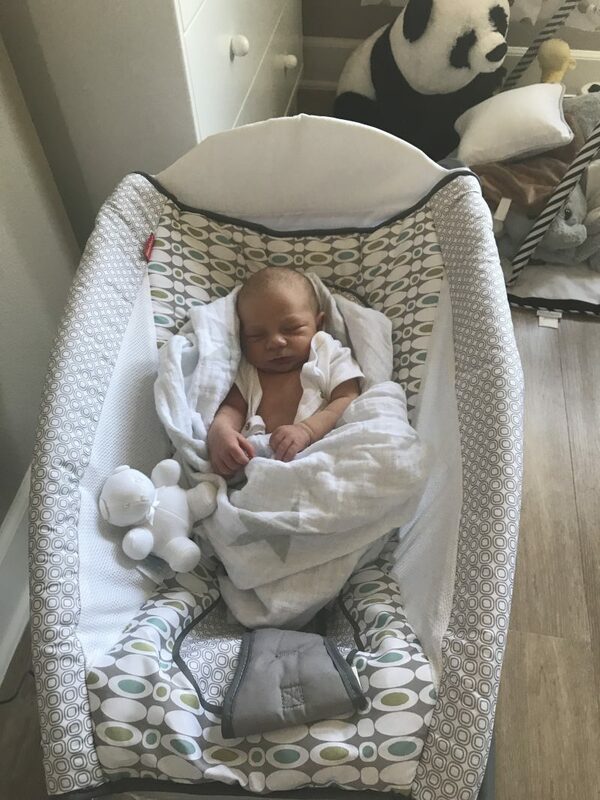 I kept picturing him in our apartment, in his nursery, like “what is this going to look like” that feeling that he is going to enter that place where he will grow up for a certain amount of time for the first time. I am aware that I keep saying for the “first time” but It’s bunch of pretty insane FIRSTS to go through. They are all coming to fruition in that particular moment. Taking that in was so important for me. He was going to live with us! wait what? How? omg! this is happening. 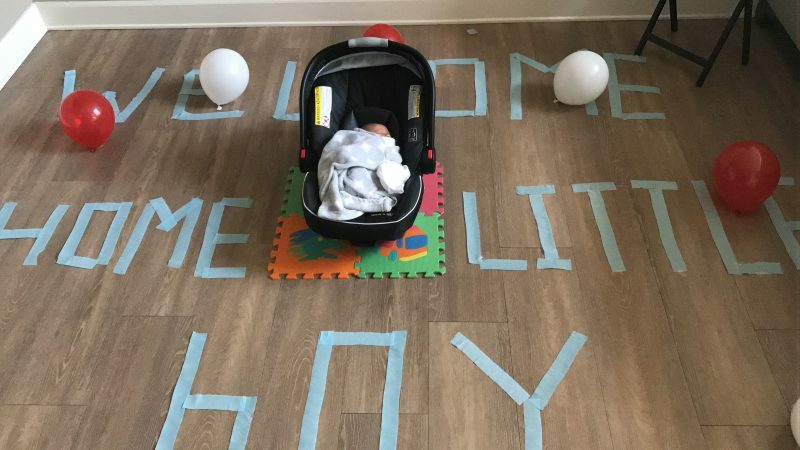 We walked in the apartment and I just looked at Kyle with a heavy chest with so many emotions, all of a sudden I notice this huge “welcome baby boy” decoration on the floor with baby toys and balloons all over the apartment and I just lost it, burst in tears and will never, ever forget that precious moment, that fire in my heart. I’m crying right now just writing about it. It was the most special, intense, life changing moment full of happiness ever. There he was just sleeping peacefully. Our first night was a little rough as I was very sleep deprived and Oliver had a hard time sleeping anywhere else but on our chest. I was so scared to roll over him or him fall from my chest, I couldn’t bare to close an eye so Kyle just naturally grabbed him and laid him on his chest and slept. no big deal, as if he had done it all of his life. I was at peace. we had to learn to swaddle which is a funny, anxious process when your baby is crying and you’re doing this for the first time…everything was very challenging but so much fun as well. I recommend the velcro swaddles as they are much easier and quick! 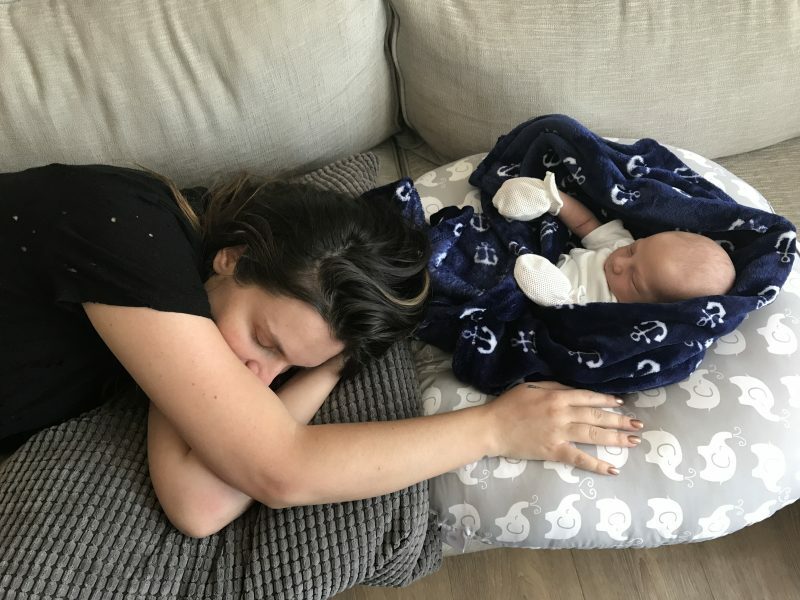 I remember when we’d change his diaper and he would pee everywhere all over the wall and i’d literally just look at it, with an epic exhaustion and just say “it’ll dry. I don’t care.” or when he’d poop after 3 changes in a row! Kyle and I would just explode laughing at the turn our life had just taken. It goes by so fast and now I look at his pictures crying because I already miss him that tiny or just reminisce how special it was. I also realize that I was a constant wreck attempting to learn or just figuring out what the hell I was doing that a lot things just feel like a flash. Bottom line, you’re doing great mommy! you’re not alone and it’s hard and it’s ok, it will be the most rewarding time of your life. 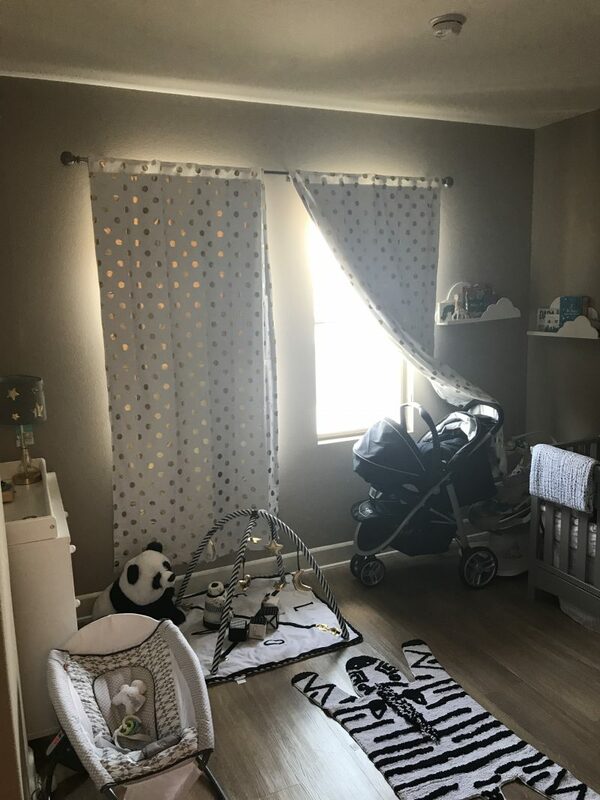 Here are all the items from my nursery! I also picked this stroller to show you guys because that’s the one I wish I would’ve gotten!! argh!